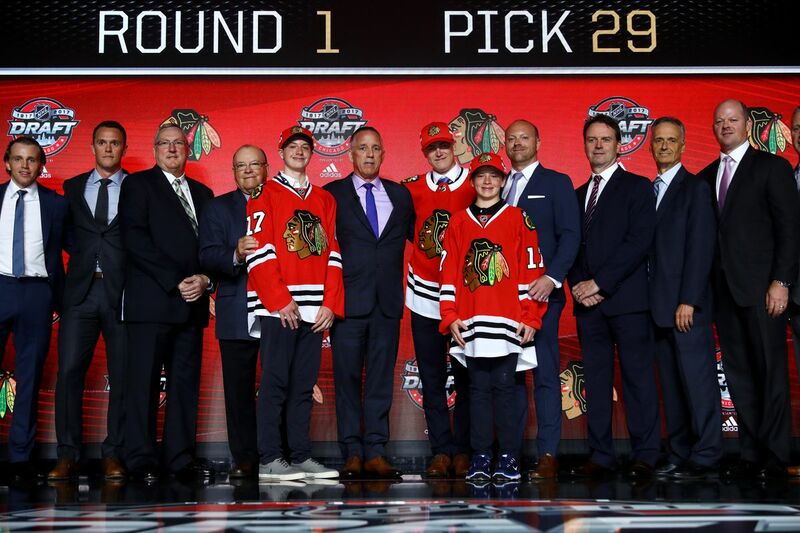 The complete Draft History of the Chicago Blackhawks from 1991-present. I’d have to say that my top prospect choice would be Ryan Stanton. He is your classic Stay at home defenseman. He won’t bring you many points but he will get the job done. He’s come a long way this past season and I could see the Hawks experimenting with him next season. I don’t think he will start on the Hawks but a few call ups could definitely be in the works for him. Of course there is always room for improvement but there’s not one thing you can say that Station needs to work on in terms of his personal defensive skills. He also can fight. Lord knows the Hawks need someone who can give them a few decent scraps. Perhaps if Stanton worked on that he would have an even bigger chance of making the Hawks roster. I just want to respond to Courtney. 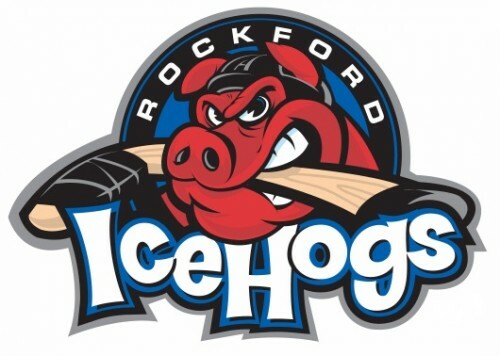 Seriously, you’re the rinkside reporter for the IceHogs? What do you report on? The quality of the food at the concession stands? Ryan Stanton? Are you high? How much did the 3 goaltenders play? Of the 20 skaters listed, 13 are pros. IMO, Of those only 5 may ever see realtime in the NHL. I believe Stanton and Olsen are locks, Smith has got 3rd line game, Pirri needs to get faster, & Morin needs to re-find his game from before he got hurt. The other 8 are just wantabes. Lastly, I know Carter Hutton isn’t highly thought of, but he played get last weekend. Any thoughts on him? I have to disagree with the listing. Lalonde is a solid player who is a plus player on a terrible rockford team. i have to believe if he were a bowman pick and not a talon pick he would have gotten the call before olsen. 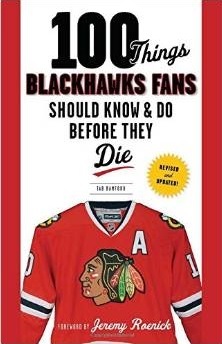 his numbers were better at the time and he has more pro experience..
@Chris: Problem w/ your hate-Bowman-theory: Olsen was a 2009 Draft pick… when Tallon was still the GM in Chicago. To put Carruth as the number one goalie prospect is equivalent to saying you have ZERO goalie prospects. From someone who grew up in the Chicago area and lives in Portland now, I have to say I find this concerning that more research is not done on the juniors level for this list. On the juniors level Carruth plays for the Portland Winterhawks of the WHL, great team-yes; good goaltending-no. The fan base here is highly divided over Carruth as a goalie on this level (forget about it as a pro). Those in favor of Carruth are quick to point out that he “just wins”, and tends to do well on penalty shots which is true. Those opposed to Carruth on this level are quick to point out that he’s never been accused of stealing a “game”, gives up way too many soft goals, is easily beaten top shelf, doesn’t see the puck well, handles the puck (and poorly) too often and takes way too many penalties for a goalie. Comparatively you look at top goalies he has played against night in and night out in the WHL like Nathan Lieuwen or Ty Rimmer and Calvin Pickard who plays for a terrible Seattle team and its obvious that Carruth lacks the skill to make it to the NHL. Kent Simpson who you have as 4th who played for a terrible Everett team (minus Ryan Murray) would qualify as having more NHL potential….but not much. Thanks Courtney, I might not be the top prospect but I show my physical presence. Also I’m stable behind the blue line and a pretty durable player. Ryan, thanks for posting…you had a GREAT season in Rockford, and now its on to the Blackhawks where we know you are going to do well! Best of luck! Wow! No A or B prospects? The future looks dark! Any particular reason for no Rannta on the goalie depth chart? Note the date at the bottom… we’ll update the rankings to include the 2013 draft class + Raanta after prospect camp. where’s leblanc? not signed yet? I think this list was compiled before Rannta signed, JS. Tab, excellent updated list…are you ranking them on their level of talent, or on their chance of making it to the pros, or even their time frame of making it the pros…I would be interested to know…thanks. Are you going to update this? Where would you rank Brennan? Where would you have Danault now. Very excited to see how things go with these guys. Especially the top 4 forwards listed and the top 3 d. And I totally agree with your rankings. Well done. Nice surprise to see Hayden so high on the list, I’ve been a fan of his since he got drafted. Thoughts on him? Need some of those Russian cheerleaders in the isles.